I was poor, who knew?!? 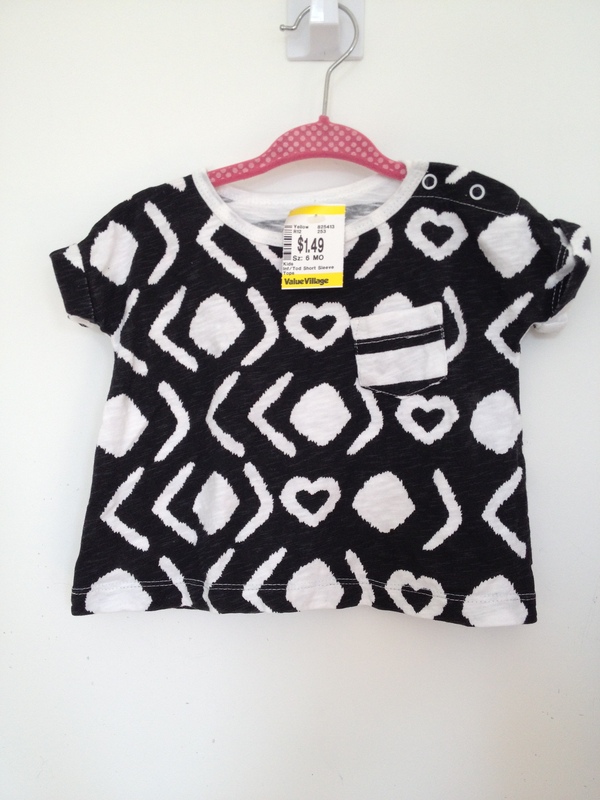 This adorable Joe Fresh t-shirt only cost me $1.49! $1.49! 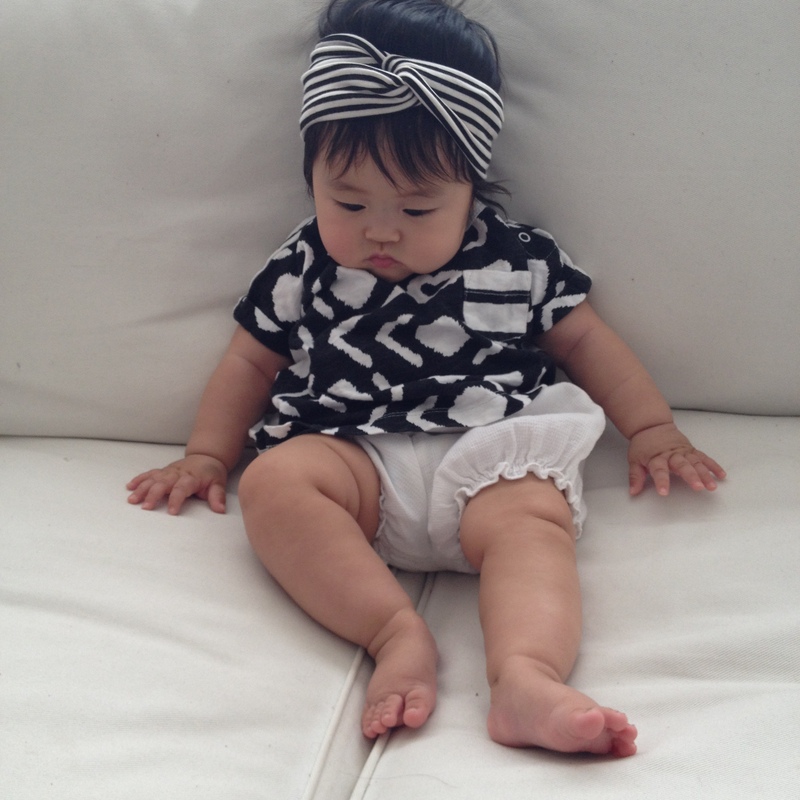 I made her wear this almost every week last summer. The print was easy to co-ordinate and it breathed really well. When I was a kid, twice a year we would visit the The Scott Mission on Spadina in Toronto. We would go to their basement and pick out clothes from these bins. I remember it was the most awesome feeling in the world. As a kid, I thought what a amazing place this is, we get to pick out all the clothes we want, and take them home without paying. I assumed we did not pay because I don’t recall my parents taking out their wallet or give any money away. We had been in Canada for about a year or two. I never thought of us as poor until years later when I realized that program was for low in come families. At the time my whole family slept in a single large bedroom. I did not think this was cramped at all and loved every minute of it. If I woke up in the middle of the night from a nightmare, I looked around and saw my siblings and mom and dad in beds right next to mine. My brother and sister and I would goof around with each other before bed. They were such simple times. I was totally oblivious to the fact that stats canada would classify my family as poor. All I knew was bedtime was awesome because I got to play with my siblings right up until the moment I fell asleep. I had all the clothes I needed and my parents were relatively happy when they spent time with us. This is a big part of why I buy used clothes and toys for Nora. I know that she has no clue nor does she care right now where these things come from. As long as I play with her and give her my undivided attention. I’d rather she not know what poor and rich means for a long time. I’d rather she consider herself rich for life because she has parents who love her unconditionally. P.S. This post reminds me that I need to make a donation to The Scott Mission. They do great work and I am grateful for their generosity to this day.